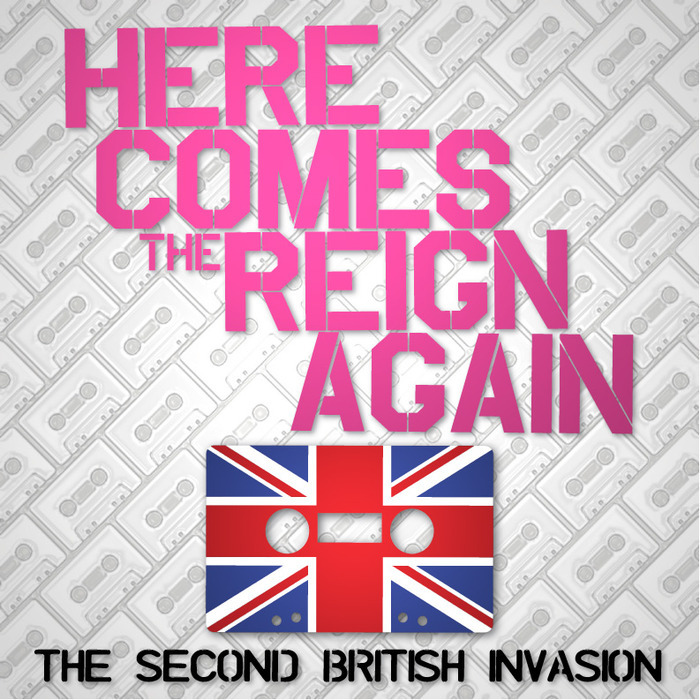 CD Review: "Here Comes the Reign Again: The Second British Invasion"
Songs you know by heart performed (often) in a brand new way. Not to contradict the liner notes in this CD package, but I couldn’t say definitively that the ’80s was the last great pop decade. I can say it was the last really interesting one. From the ’90s onward, pop music would be devoted to types, and from 2005 and after, a very small clique of writers and producers would be behind at least 75% of it — a staggering amount, leading to a homogenization that, while still wildly successful, also has a generic sheen to it. If you isolate ’80s pop down to just what the U.K. was sending over, as a sort of Second British Invasion, you had ska-pop and reggae-infused pop from Madness and Culture Club; art rock from Tears For Fears and Talk Talk; big synthpop confections from Human League; a sort of smooth jazz pop from Spandau Ballet who were in the midst of change from their prior steely, spare synth ethos. All this came over under the mantle of ’80s music, but it cannot be argued that these all have a specific identity to themselves. That is, in total, what makes the latest collection from executive producer Andrew Curry so much fun. Here Comes The Reign Again: The Second British Invasion, acts as a pseudo-sequel to his Drink A Toast To Innocence: A Tribute To Lite Rock, pairing some of these big hits with artists that may (or may not) be “right” for the material. That is part of the fun. For instance, on paper the highly articulate David Mead would not seem a proper match for the waxed shine of Duran Duran’s “Save A Prayer.” Eytan Mirsky and Alyson Greenfield do not appear to meet Howard Jones on an equal playing field (on “No One Is To Blame,” first a solo, then a duet with Phil Collins), but these tracks both show an affinity for the songs above the styles in which they originally appeared. Some of the pairings seem like a natural fit. Mike Doughty obviously must do Frankie Goes To Hollywood’s “Relax,” Mike Viola inhabits “Everybody Wants To Rule The World,” and Fountains Of Wayne’s Chris Collingwood’s rendition of The Dream Academy’s “Life In A Northern Town” is generous and respectful. The two-disc set is dotted with names you know and names you don’t but should. For instance, along with Tracy Bonham, Ken Stringfellow, and Freedy Johnston, there’s Linus Of Hollywood, Bleu, and Big Box Store. As it was with Drink A Toast, the individual probably won’t love every track on the set. Such is the inherent problem with various artists collections, but the variety means that no two listeners will likely walk away with the same short list of favorites, and at a whopping 27 tracks at $17 for the CDs, it is quite the deal. Here Comes The Reign Again: The Second British Invasion is liable to be attractive mostly to those of us who lived through the period, but it shouldn’t be so immediately filed. The set stands as a sort of victory lap for the song over the singer, and how interesting work can endure with those who appreciate it. What’s not to like about that?